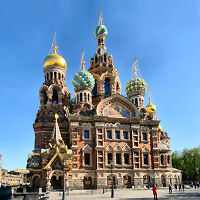 Welcome to Saint Petersburg, Russia! We offer transfers from Saint Petersburg Pulkovo Airport to anywhere in the surrounding area. We also offer customized Pulkovo Airport transfers, please inquire with us for a quote. This transfer takes about 35 minutes for the 45km ride to town.. This transfer takes about 35 minutes for the 22km ride to town.. This transfer takes about 40 minutes for the 30km ride to town..